COMBUSTION CHAMBER SERVICE: IS IT NECESSARY? Combustion chamber service is fast becoming a needed and extremely important service in today’s world. For those of you that may not know where exactly the combustion chamber is, it is the space in the top of the cylinder bore when the piston is at its highest point (known as top dead center or TDC) when all the valves are closed and just before the spark plug fires. All in all, this is an extremely small portion of the cylinder, yet the cleanliness of this small portion of the cylinder and affect the total health of the cylinder itself. Once upon a time when vehicles were simple we gear heads took great pains to cram as much fuel vapor and air and used domed pistons to really compress that fuel mixture as tight as we possibly could to get that explosive punch. But then in those days we had real fuel and real octane and no concern about emissions or the environment. Now in today’s world we are dealing with CARB, EPA, and a host of other alphabets. Now we are in the process of making as much horsepower as we did in the day using smaller and lighter engines, by adding variable ground cams, and variable valve timing and fuel injection with pressures as high as 2000 psi. Which brings us to the point of this story. With these technological advances comes tighter tolerances and more turbulence in the chamber. The fact that the combustion chambers temperatures have gotten higher and the swirl within the chamber is more robust means that all the debris generated touches more components than ever before. The quality of today’s fuel is less than desired in a true gear heads mind, there are more and more additives and more and more ethanol which captures water and soot. This soot or coke as the professional calls it sticks to the valve faces, and settles in the piston ring gaps. This coke eventually hardens due to the excessive heat generated in the combustion chamber and turns to carbon. Carbon is the next hardest substance known to man just under diamonds. 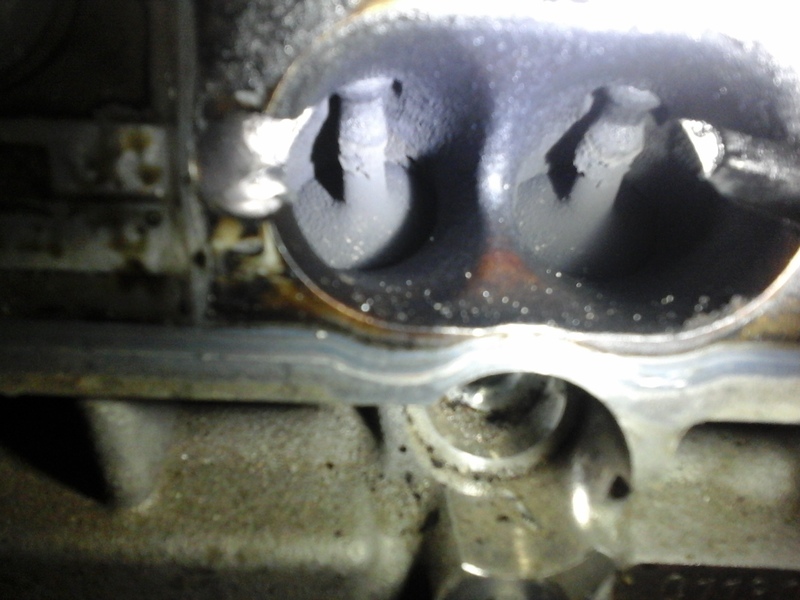 This means that as all this debris accumulates in the cylinders we are basically boring out the engine as you drive. That leads to poor performance, smoking and increased emissions. The trick here is to attack these deposits and break them down while they are still soft and able to be sent out the tail pipe. Most fuel injected vehicles have the fuel injector mounted high above the combustion chamber and they spray fuel on top of the valve faces which breaks down these deposits as a natural course, but depending on the quality of the fuel and the additives that are in said fuel is crucial to this cleaning process. You only get what you pay for, and all fuels are not the same. On these types of injector systems, you basically have a choice as to adding a strong detergent in the fuel tank, along with a carbon softening chemical in the crankcase and sending a cleaner into the combustion chamber along the air passages. With the new GDI systems the fuel injector is below the valves and they lose the benefit of that washing effect. This has been causing some severe carbon buildups on the valve face that are causing not only performance issues and misfires because the valves cannot close all the way. Alarmingly, this is happening before 30,000 miles in many vehicles. The new GDI kits not only work from within the fuel system and crankcase but also have a 2-part cleaner and a special nozzle to deliver the most cleaner to the valves and rings. The question is would you rather invest in a moderately less invasive maintenance program or go through the expense of tearing down the engine. As they said in the 60’s you can pay me now or pay me later. Call us and learn about our phenomenal BG products and their extraordinary lifetime protection plans at 941-575-8868.